Skinny fat is a term that describes a person who is in a healthy weight range but has more body fat than is healthy. 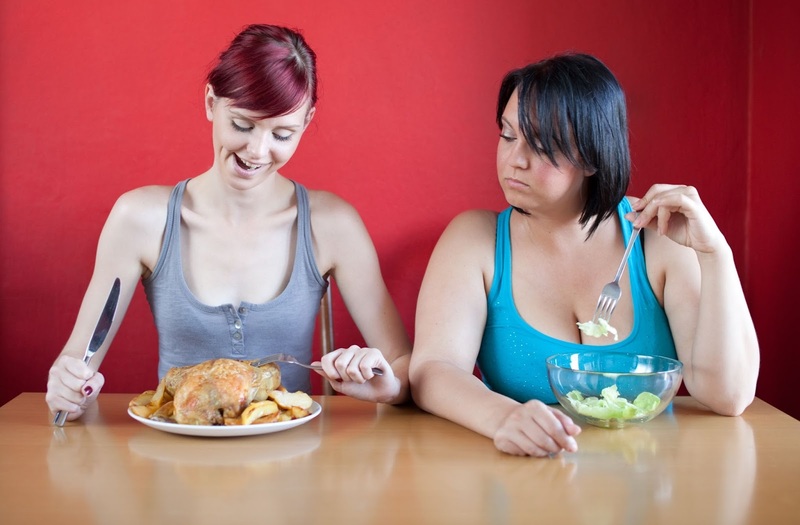 Skinny fat is also termed Metabolically Obese Normal Weight (MONW). It relates to the way fat tissue is carried in the body. And, whether the body fat is visible or is invisible (i.e. located deep inside you coating vital organs such as the heart, kidneys, liver and pancreas). Too much body fat (especially belly fat) causes metabolic changes such as inflammation. That’s because visceral fat, the fat stored deep inside you is metabolically active, triggering inflammation which stops blood from flowing freely. Essentially skinny fat happens when you carry too much fat and not enough muscle. • You have a waist measurement of greater than 94cm for men or 80cm for women. Belly fat is an indicator of internal fat deposits, which can coat the internal organs, and increase the risk of chronic disease. • You have an abnormal blood cholesterol profile i.e. if you have high triglycerides, especially with a low HDL- or good cholesterol. • Your blood sugar is consistently higher than normal range and/or if you are diabetic and your blood glucose is not well controlled. • You have insulin resistance. This is when insulin is being produced but cannot take blood glucose into the cells in order to keep blood glucose levels to within the normal range. Too much circulating insulin prevents the breakdown of fat in body cells and encourages the production of more fat from the excess circulating glucose. • You have an abnormal liver function test. This can be an early indicator of excess fat in the liver. Your doctor will discuss this with you. • Cut down on sugary carbohydrates and white bread, pasta and foods made from white flour. • Choose low GI carbohydrates (Nutrimeal and USANA Snacks are both ultra-low GI). • Moderate alcohol (is also converted into triglycerides and stored in the liver and around the belly). • Try cereals like quinoa and amaranth which contain more protein and fewer carbs. • Boost your aerobic exercise to cut down fat sores and increase strength training to help muscle fibres grow in size. Another great idea is to try a liver lovin’ cleanse with USANA’s HepaPlus supplement, which contains numerous ingredients including milk thistle extract, alpha lipoic acid to support healthy liver function. Alpha lipoic acid is a naturally occurring antioxidant that helps neutralize free radicals. Most antioxidants are either soluble in fat or water soluble so they can’t access every part of every cell. Alpha lipoic acid is able to enter both the fatty and aqueous (water-based) sections of the cell, boosting its ability to trap free radicals wherever they are. HepaPlus contains choline a substance which helps to emulsify (break down) fats. This helps them to be removed from the liver. Food sources of choline include eggs, beef, salmon, wheat germ and broccoli. All of these ingredients not only help cleanse and remove fat in liver but they also help regenerate cells. So what are you waiting for? Start making changes to create a happy, healthy life for yourself.